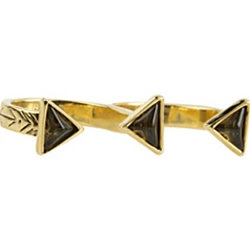 This House of Harlow double pyramid ring retails for $45 at Ron Robinson. Sarah Aghili has a great look for less, retailing for only $12.80! Click HERE if you're interested in purchasing this great alternative.